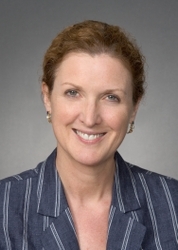 CHAPEL HILL, N.C. – Blue Cross and Blue Shield of North Carolina (BCBSNC) has announced Dr. Lisa Carey, Medical Director of the University of North Carolina at Chapel Hill (UNC) Breast Center and Associate Director of UNC Lineberger Comprehensive Cancer Center, as the newest member of its board of trustees. BCBSNC’s board consists of community leaders across North Carolina with varied backgrounds in health care, education, business and finance. A member of UNC’s faculty since 1998, Dr. Carey is a leading figure in North Carolina’s breast cancer research efforts. She and her colleagues at UNC have written widely on racial disparities in breast cancer development and mortality, and she has led multiple clinical trials, in North Carolina and nationally, investigating new drugs and approaches in breast cancer. Dr. Carey also serves on several national cancer committees, such as the National Cancer Institute (NCI)’s Breast Cancer Steering Committee. She was awarded a Doris Duke Clinician Scientist Award in 1999, a Career Development Award from the National Cancer Institute in 2000, was inducted into Johns Hopkins Society of Scholars in 2008, and received the NCI Director’s Service Award in 2011. Dr. Carey attended Wellesley College, and received her MD from the Johns Hopkins School of Medicine. She completed her residency and fellowship in Medical Oncology at Johns Hopkins.